East Midland Coatings Ltd are one of the first companies in the UK to successfully transition from TS 16949:2008 to IATF 16949:2016. 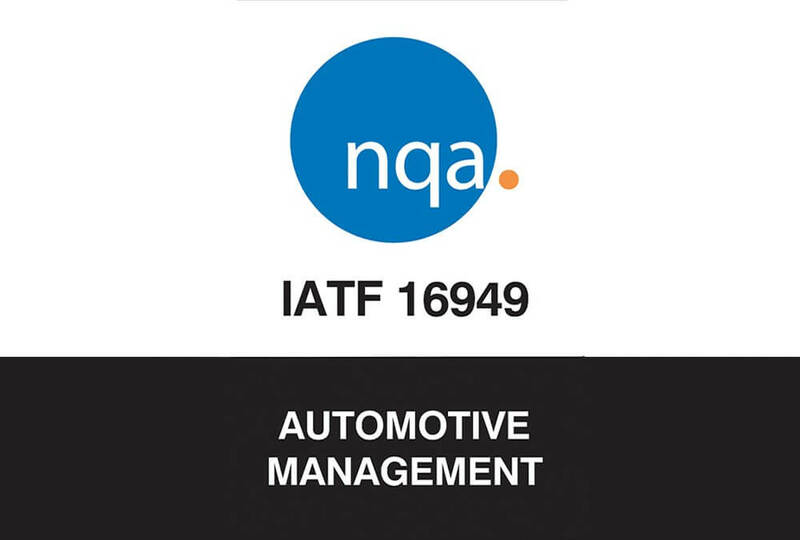 IATF 16949:2016 was published by the IATF and supersedes and replaces the current ISO/TS 16949, defining the requirements of a quality management system for organisations in the automotive industry. The new standard is shaped by tighter requirements and its ultimate aim is to harmonise the different assessment and certification systems in the global automotive supply chain. The certification is a just reward for the hard work and effort the team at EMC have put in. None more so than Aron Hicklin, our Quality Assurance & Technical Director, who has worked directly with auditors to ensure we meet the updated requirements to meet this standard. The efforts from Aron and the team have meant that we can guarantee our customers, automotive or not, that their parts will be treated in accordance with this new ever-changing standard. Ultimately ensuring that the services we offer are continually improving and lead to higher levels of customer satisfaction. Click here for a copy of our IATF 16949:2016 certificate. Customers are happier than ever!